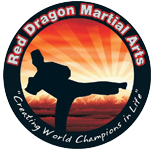 Red Dragon offers several different Martial Arts programs to cater to each student's individual needs. All of our programs are designed to provide children with a safe and positive learning environment. Red Dragon Martial Arts offers elite level Martial Arts training and instruction. Our Adult Martial Arts classes are a comprehensive full body workout combined with a complete martial arts and self-defence system. For fitness, self-defence and confidence, Red Dragon Martial Arts' Brazilian Jiu Jitsu classes will teach you effective martial arts techniques in a safe environment with our dedicated instructors that will help you achieve whatever goal you set for yourself. Combine the best martial arts training in Caboolture with techniques from acrobatics, gymnastics, and more with our Extreme Martial Arts Training. Challenge yourself today! Women face unique challenges and threats and you should be prepared for them today. Take on our Female Self Defence training in Caboolture and learn the best self-defence skills around. Your kids will love our Hyper Pro Training Kids Martial Arts Classes in Caboolture. These high-flying, heart-racing classes are challenging and more exciting than ever. Sign up today! Take on this traditional martial arts performance at Red Dragon Martial Arts in Caboolture. Our Lion Dance program gives you the chance to perform in costume and show off your skills.